I know I'm a little late with my favourites this time, but better late than never right? 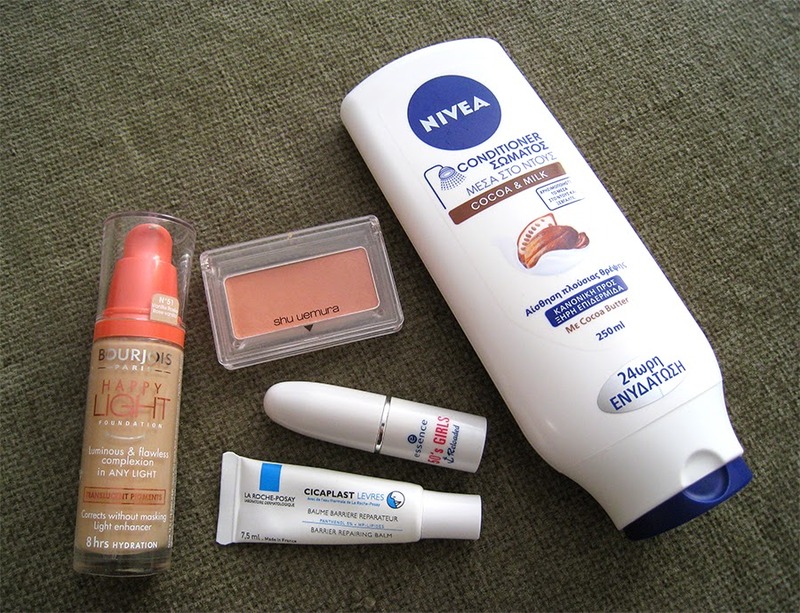 This time I have only beauty favorites to show you and they're just a few things that I've been using like crazy. Recently I did a make up clear out, I had to throw away stuff that were way too old and others that I never liked and used. That made me realised that I have to start using up the make up that I already have, so from now on I'm not so sure if I'm going to be able to show you monthly favorites because they are propably gonna be the same stuff every time, but whenever I'll have new things to show you I will definitely do a favorites post. So let's start! I've already talked about my this foundation in my previous haul post here. I finally found a lightweight foundation that I can wear at springtime without making me look like an oily mess, it's so lightweight that sometimes I forget that I wear foundation. It gives a subtle glow on the face, it's not like any of the other "dewy" looking foundations that I've tried, it's glowy and matte at the same time, it makes me look more awake and fresh. 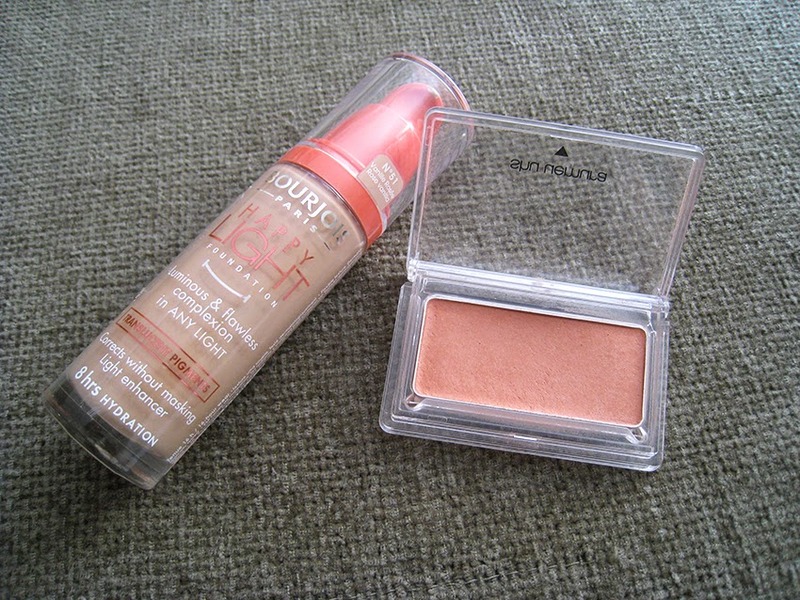 OK now this is an old blush that I rediscovered recently when I was cleaning through my make up drawer, and for those who remember you can see that it's old because it has the old Shu Uemura packaging, and I'm not so sure if they still make it. I forgot how beautiful this blush is, it's like a true peaches n' cream shade, my kind of shade, I'm gonna use this one a lot from now on. I got this about two months ago and I totally forgot to mention it in one of my haul posts, but I'm gonna do it now because I love it so much, it's propably one of the best lip balms that I've ever tried. 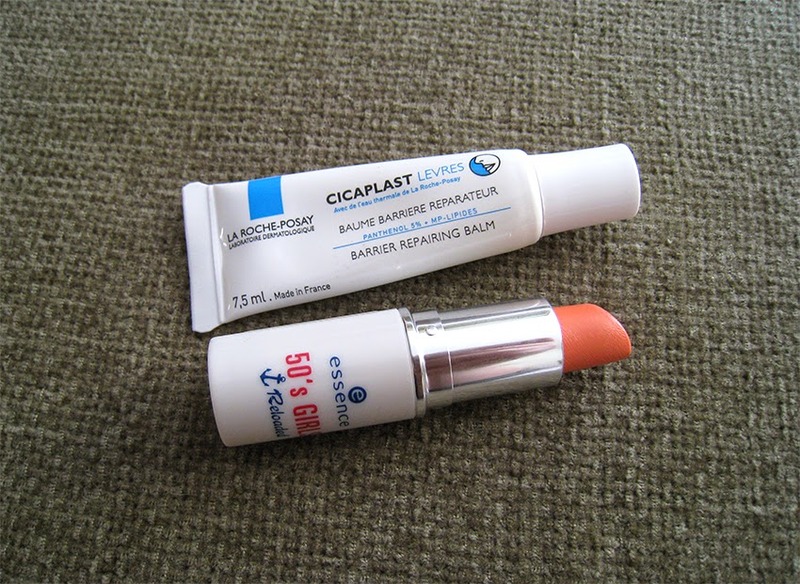 I was a huge fan of the original La Roche Posay Ciciaplast, and I was using it on my lips whenever they were super chapped and dry, and when I found out that they released a Cicaplast for the lips I knew I had to get it. It has a very thick- silicone creamy texture that glides onto the lips and makes them very soft and silky. Also it creates an amazing base for any lipstick, especially for those who have dry and chapped lips it's a godsend product. I've mentioned this lipstick a lot in the past, it's my HG peachy lipstick which unfortunately was limited edition a few years ago. 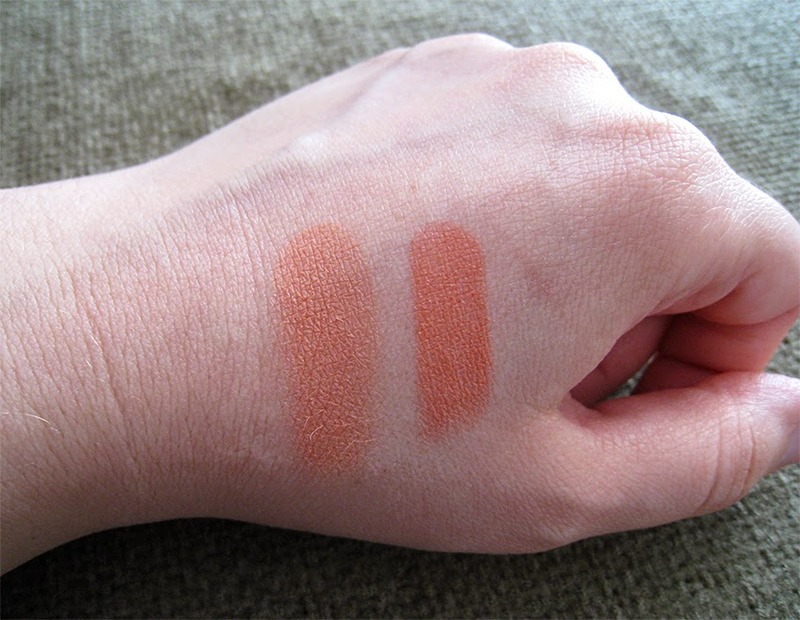 The shade is something between a peach, coral and orange, and the texture reminds me a lot of Mac's lustre lipsticks. It's the only lipstick that I use the most at spring and summertime. My last March favorite is this Nivea In Shower Body Moisturizer with Cocoa Butter, which smells divine! I'm not a huge fan of this whole "in shower body mositurizer" idea but the smell is so amazing that I had to get it. In general I hate cocoa butter products, I find the smell way too chocolatey for my taste, but this one is an exception, it smells like beach, hawaiian tropic and coconuts! If you ever see this product please smell it! So that's everything for my March favorites, I hope you liked my small post. Let me know if you've tried any of these products and if you like them or not. Τσεκαρε το, εγω ειχα παρει ενα δειγματακι πρωτα για να το δοκιμασω, αρκετα σκουρο αλλα το φορουσα στο σπιτι μονο για να δω εαν μου αρεσει η οχι. Χαχαχα τι βρισκεις δε λες τιποτα!! πολύ ωραία αγαπημένα μου άρεσε πολύ το ρουζ και το κραγιον! Going to look out for that in shower moisturiser in the UK, I have the original one but i've never seen this one! You should definitely check it out, it smells so good, like summer! Δεν τρελάθηκα με το αρχικό in shower body moisturizer που είχα πάρει αλλα αν πετύχω πουθενά αυτό θα το τσεκάρω, προσφέρει ενυδάτωση? Δεν θα ελεγα οτι προσφερει τρομερη ενυδατωση, κ να φανταστεις δεν εχω καποιο προβλημα με ξηροτητα στο δερμα μου. πολύ ωραίες επιλογές...θα ήθελα να δοκιμάσω το foundation και το κραγιονάκι essence!! !πολλά φιλάκια!!!! αχ το κραγιονάκι είναι τέλειο!! !επίσης θα ήθελα να δοκιμάσω τη nivea, είχα λατρέψει τη μπλε, αλλά με έχει δελέασει και αυτή ημυρωδιά!